Olympics, HST, and interest rates - oh my. NOW is definitely the time to buy a new Surrey home at Heritance by Townline. With over 65% of Heritance already sold, and smart Surrey home buyers snapping up 15 homes just this past summer, the buzz that Heritance Surrey real estate development has the best single family pricing in Clayton is spreading fast. These 3 bedroom homes manage to be affordable, with prices ranging from 457,000 to 467,000, and the highest quality of construction - which is expected from Townline. All opportunities at the presale Surrey Heritance homes for sale in the Clayton neighbourhood will be complete and ready for you to move in before July 1st, 2010. So, don't worry about the HST. This month, we're featuring 2 homes at Heritance Surrey living that includes the following: Lot 114 which is one of the largest lots in the whole Heritance community and features the best priced A-Plan, corner lot with lots of natural light, granite countertops and crown mouldings as standard features. In addition, Lot 134 at the presale Heritance Surrey homes for sale includes a south facing backyard located on a quiet street and prime location. All about Heritance by Townline: Right in the middle of picturesque Clayton, Heritance Surrey homes for sale is made up of the classic country style houses your parents and grandparents had. However, these timeless places are flush with all the modern touches you need today. Enjoy a fully carpeted play area, a full kitchen appliance package, double garages with an extra parking pad, laminate flooring on the main level, and carpeted upper floors. Not to mention, some new Surrey Heritance homes for sale also have an optional fully legal basement suite with separate entrance and complete appliance package for just $28,000. It's like living on your very own cash machine. Tenants go in, and money comes out. The whole package is backed by the 2-5-10 year Traveler's Homeowner's Warranty. Go ahead, shop around. You won't find a more affordable, lovable Heritance Clayton Surrey home for your growing family. What's happening around Heritance Living. October Edition. On October 31st at 2pm, it's the 9th annual Cloverdale Costume Parade. Bring your startling selves down for a free, supervised trick or treat trip to local businesses, and gobble up free hot dogs and drinks with the Cloverdale Lions. Stick around for prizes, crafts, and a take home Jack O Lantern. Surrey Museum Plaza. Get online, then come on in to Heritance Surrey real estate development before all of the homes are sold out. Check out the monthly-updated construction photos. (We've supplied a little taster below.) Display home photos, floorplans, pricing and more are also online at www.heritanceliving.com. Want to get a feeling for the real thing? Make an appointment to visit the Clayton Surrey Heritance Home Sales Centre located at 189th Street and 68th Avenue, Surrey. Sincerely, Paul, Sales Manager, Royal LePage Wolstencroft Realty at 604.539.2313 or cell 604.862.4429. PS. Rather have a new townhome in the area? Check out Townline's newest development, Clayton Rise. Register today at www.claytonrise.com for more info. Home sweet home. Remember a time when people lived in real houses? The kind with grassy backyards, birght open spaces and the smell of baking wafting through the air? That’s Heritance Homes at Clayton Village in new Surrey real estate market – homes with soul in the heart of Clayton, on a quaint and quiet street, close to all the big city amenities you appreciate. Coming soon to 190th Street and 68th Avenue, these well-designed Craftsman style homes at Heritance at Surrey’s Clayton Village by Townline Homes will be available in 3 and 4 bedroom plans (all over 2,400 sq ft), with a finished basement and a detached two car garage. Enjoy this idyllic life at a price you can afford in Surrey Heritance at Clayton Village homes by Townline Developers. Single family homes at Clayton Village heritance community start from the low $500,000s. Register today at www.heritanceliving.com or call 604.539.2313 to get more information about the presale Surrey Heritance at Clayton Village real estate development. Small town charm with big city benefits. Where you can you shop for modern décor and fashion one moment and enjoy lemonade on your breezy front porche the next? Clayton Village Heritance Homes in the new Surrey real estate community, of course. This neighbourhood of Clayton Village where the Townline Homes Heritance properties are being built is truly idyllic. Heritance at Clayton Village is surrounded by green space, schools, quiet streets – perfect for evening walks and easy bike rides on sunny summer days. Find all the big name stores you’ve come to appreciate just minutes away, like Winners, Pier One Imports and Chapters. You don’t need to sacrifice all you love about the city to enjoy this cozy community at the Heritance at Clayton Village .. it’s all here! September 2009 Update - At Clayton Village Heritance Surrey Homes for Sale, we loved summer, but we're loving fall even more! 50% of Heritance Surrey Homes for sale is already sold! 11 presales Clayton Village homes were bought up in July and August alone, and 3 so far in September! Featuring the most competitive pricing in Clayton Surrey real estate market, don't wait till the fall to make your move and pick the home of your dreams at Heritance Surrey homes for sale, and move-in this spring! 9/9/09 - 9 Homes Released - Due to popular demand, Phases 4 & 5 at the Heritance Clayton Village Surrey real estate community by Townline Homes are now available. Prices range from 457,000 to 467,000 which means there are nine new Surrey homes for sale to choose from - come have a look while they're still available. Don't wait, though; Surrey real estate prices are rising with each release of new homes. Clayton Village homes to love for a lifetime - Heritance Surrey homes for sale has all the charm and functionality you would ever want in a family home. Aside from the homes' astounding affordability, you'll find they also possess the type of quality craftmanship you would only expect from houses twice their price. Backed not only by the Townline reputation, but also by a 2-5-10 Homeowner's Warranty, Heritance Surrey homes for sale in Clayton Village property market makes a perfect place to sleep easy for the future. And, here's another bonus: legal basement suites here at Heritance Homes in Surrey real estate marketplace. For just $28,000, you get a beautifully laid out Heritance basement suite with appliances included and a separate entrance. It's like building your house on your very own cash machine. Tenants go in, and money comes out. Each Heritance Surrey home for sale includes a finished basement with kids play area, a full kitchen appliance package, double garage with extra parking pad, laminate flooring on the main level, and fully carpeted upper and basement floors. This is your chance to live the good life; don't miss out here at the presales Surrey Clayton Village Heritance homes now selling. Don't wait another second - This is your chance to get into the Surrey real estate market while you can still afford it. Start exploring Heritance Clayton Village houses for sale today at www.heritanceliving.com and see full floor plans, feature list, site plans and photos. Or even better, make an appointment to see it all in person at our Sales Centre, located at 190th and 68th Avenue, Surrey. Questions? Call Paul at 604.862.4429, or email at paul@heritanceliving.com. Sincerely, Paul, Sales Manager at Royal LePage Wolstencroft Realty - email paul@heritanceliving.com | tel 604.539.2313 | cell 604.862.4429. PS. Townhome living more your style? Check out Townline newest development, Clayton Rise. Register today at www.claytonrise.com for more info. Heart and soul goes into every home that Townline Group of Properties builds, and this dedication starts with our president, Rick Ilich. In this, the first in a series of two video interviews with the Heritance at Clayton Village real estate presale team, you will hear what is important to Rick about this new Surrey pre-construction community of single-family homes. He'll explain how Surrey Clayton Village Heritance Homes was conceived, why Townline is proud to be involved and what makes Heritance such a unique presale Surrey community. Click here to watch Rick's video: http://www.heritanceliving.com/full-v01/video.html. Be sure to watch for next week's video, where I, Neil Klassen, the Sales Manager at Heritance at Clayton Village Surrey new homes, will speak more about the special features of the homes at Heritance and how they can adapt to your family's unique needs. Sales Start This Saturday, May 31. This Saturday is your first opportunity to purchase a new Clayton Village home at pre-construction prices. Each single-family Clayton Village Surrey Heritance Craftsman-style home is available in a three or four bedroom plan, with a finished basement and detached double-car garage. All floor plans are over 2,400 square feet, starting from the mid $500,000s. Be sure to ask about our Pre-Display Heritance Home Incentive, where you can receive up to $12,000 towards finishing options*. Floor plans and features of these luxurious Townline homes in Heritance are now available online at www.heritanceliving.com to give you a first look at these homes before visiting us this weekend. We will be open on Saturdays, Sundays and Mondays from noon until 5pm. Stop by this Saturday to be one of the first to own a presales home at Heritance. We are located at 190th Street and 68th Avenue in Surrey. To learn more, feel free to give us a call at 604 539 2313 or email us at info@heritanceliving.com and a Heritance at Clayton Village Sales Representative will contact you shortly. Sincerely, Neil Klassen, Sales Manager, Royal LePage Wolstencroft Realty | email neil@heritanceliving.com | tel 604.539.2313 | cell 604.880.8550. PS. Doors open at noon on Saturday. Don't miss your opportunity to purchase a home at pre-construction Clayton Village Surrey new home prices. PPS. Don't forget to ask about our Pre-Display Home Incentive. *See a Sales Representative for more details. Single family detached homes with a heritage architecture and style are now coming to the Surrey real estate location of the master planned Clayton Village. Here, you will find family homes at Heritance presale residences. These well designed Craftsman style homes are available in either 3 or 4 bedroom plans (all over 2400 square feet) with a finished basement and a detached two car garage. These new Surrey homes that are being offered at presale residence prices are from the mid $500,000s. You can view the three different floorplans for the new Townline Heritance at Clayton Village family homes in Surrey real estate market in addition to the siteplan online in addition to more details about the pre-construction Surrey home themselves. With two crisp colour schemes (either Dark or Light), gas fireplaces in a great room, sleek laminate flooring throughout ground floor (except powder room and flex rooms), textured Berber style carpeting on the upper floor bedrooms and basement, the Heritance at Clayton Village new Surrey family homes are going to sell out quickly. In addition, all presale homes at Heritance by Townline Homes will have classic crown moulding throughout most of the ground floor, decorative painted wood spindles with stained railways on staircases in addition to easy clean high quality painting throughout the residences. These new Surrey homes at Heritance at Clayton Village will have tightly fastned sub-floors for minimal squeaking, now and in the future in addition to ambient lighting throughout all rooms. Rough-ins for security alarm systems, cable, data and more are all included as part of the pre-construction Surrey Heritance home purchase package as well as central vacuum systems. Townline Homes is proud to present the new Surrey Heritance Homes at Clayton Village community and sales start very soon. The Heritance Sales Centre opened its doors this past weekend to sunny skies and pre-construction prices in the new Surrey real estate market. And those that visited our Sales Centre would have to agree: This neighbourhood setting is truly idyllic. Surrounded by green space, schools and quiet streets, yet with all the conveniences you've come to appreciate just minutes away, Clayton Village Surrey property has it all. And these Heritance at Clayton Village single family Craftsman-style homes also have it all. Available in 3 and 4 bedroom plans, the Heritance Surrey Clayton homes are all over 2,400 sq. ft. and include a finished basement and detached double-car garage. Pre-construction Surrey homes at Heritance start from the mid $500,000's. As promised, here is the second in a series of two video interviews with the Heritance Team - Click here to hear me, Neil Klassen, the Sales Manager at Heritance, talk about the special features of these craftsman-style homes and how they can adapt to your family's unique needs. Pre Display Heritance Townline Home Incentive: Not only is now your chance to get in on pre-construction Clayton Village Surrey home prices, but the Heritance team is excited to offer a Pre Display Home Incentive, where you can receive up to $12,000 towards finishing options*. Be sure to drop by and visit Heritance Sales Centre today to take advantage of this offer and to get a feel for the Heritance site; you'll feel instantly at home. Visit us Saturdays, Sundays and Mondays from 12pm to 5pm, at 190th Street and 68th Avenue in Surrey. To learn more, visit www.heritanceliving.com. Or, feel free to give us a call at 604.539.2313 or email us at info@heritanceliving.com. We'd be happy to speak with you. PS. Don't forget to ask us about our Pre Display Home Incentive. Introducing 48 new single family homes coming to Surrey’s popular Clayton neighbourhood. Brought to you by Townline Homes, Heritance offers Craftsman style architecture with a modernist twist making these pre-sale homes stylishly unique and distinctive. Available in three and four bedroom plans, all of them over 2,400 square feet, and priced from the low $500,000s. Heritance homes features detached, double garages, open floor plans, and finished basements giving the option for a legal suite. The Heritance Townline Homes presentation centre and display home open on May 31st at 196St and 68th Avenue in Surrey. To be one of the first to experience Heritance single family homes in Surrey’s Clayton Village, register today at 604.539.2313 or visit www.heritanceliving.com. According to S. Boyce for the New Vancouver Home Buyers Guide, You dream of owning your own Surrey home. A house with a yard, plenty of room for your growing family, and the promise of years of memories in the making. Say hello to Heritance Surrey homes, single family Craftsman style homes in the heart of Surrey’s ever more popular Clayton neighbourhood. Lcoated on a series of quiet streets and close to all amenities you appreciate, Heritance Homes in Surrey is brought to you by the Townline Group of Companies and offers a choice of three, bright open floor plans to choose from. Heritance Houses offers a total of just 48 single family homes in a selection of either three or four bedroom floor plans – all over 2400 square feet in size. Prices for these new surrey homes start from the mid $500,000. The Heritance Clayton district homes in Surrey real estate has their presentation centre and display home open now from noon to 5pm from Saturday to Wednesday (and they are close on Thursday and Friday) at 190th Street and 68th Avenue in Surrey. You can call ahead at 604.539.2313 or visit www.heritanceliving.com for additional details. Sure to be a hit with busy families are the finished basements and spacious two car detached garages. Powder rooms with marble coutnertops and ensuites with his and hers basisn show the attention to detail gone into thes design of all of these Townline Heritance Surrey homes in pre-construction phase right now. It all adds up to outstanding attention to detail. Heritance Homes are designed with today’s lifestyle in mind. Kitchens are open and bright with convenient center islands. Sheaker cabinets are stained or painted wood, the contemporary elegance of granite counters, plus a classic black appliance package including a counter depth fridge, with bottom freezer drawer are included with your home purchase at the pre-construction Surrey Heritance Houses by Townline Group of Companies. In addition to 10 per cent interest paid on the deposit of your new Surrey home at Heritance by Townline, purchasers can receive their choice of one of three pre-display home incentives including the toption of having Townline transform their basement into a fully finished, two bedroom mortgage helper. Clayton Village Heritance real estate homes is conveniently located just minutes from Surrey’s most diverse shopping neighbourhoods. From big box retail to boutiques, the combination fo several shopping malls are just next to Clayton Village in Surrey. Of course, there is also golf, equestrian pursuits, hiking trails, avaiation lessons and the college next to the Heritance Homes in Clayton Village Surrey. The New Surrey LOTUS Townhomes. Hello to PHASE 2! This Saturday! Completion of the Surrey Lotus Townhomes for sale is Spring 2010 and get free upgrades until October 4th, so hurry in! Get Ready, Get Set, Go Phase 2 of the Lotus Surrey townhouses for sale. Come be one of the first to view the new Lotus Townhomes opening Saturday September 26th, 2009. VIP previews and reservations are happening now! Phase 2 of the new Lotus Surrey townhomes for sale include two and three bedroom floor plans that are between fourteen hundred and eighteen hundred square feet in size for multi level family and executive urban living. Also, there are flex homes available. Don’t miss this new opportunity to purchase a new Surrey home for sale at Lotus Phase2. For more information, call Kim, sales manager, at 604.724.5128 or book your appointment online today. The sales centre for the new Lotus Surrey homes for sale is open 12 to 5pm daily at 16355 82nd Avenue in Surrey, BC. Surrey Lotus Townhomes – Phase 2 Launching September 26th! 3 Bedroom and Flex Surrey Townhomes starting in the mid $300,000s are coming soon to the new Fleetwood Lotus townhouse development. Phase 2 of this Surrey real estate project launches September 26th, 2009 so don’t miss your opportunity to purchase a new Surrey home for sale at great prices. Spacious three bedroom Fleetwood Surrey Lotus townhouses with gourmet kitchens which include designer maple cabinets, luxury and durable granite countertops with integrated full height ceramic tile backplashes are some of the many features that Surrey homebuyers can enjoy. Also presented at the Lotus Surrey townhomes for sale are polished Moen facuet, stainless steel appliance set and double stainless steel sink. Located in the heart of the master planned Fleetwood Surrey real estate community, Lotus Townhouses has great access to commuter routes, shopping, schools, services and parks. Purchase a new Fleetwood Lotus Surrey townhouse today and you could also win a new Honda Civic! National Home Warranty. There are only 2 homes left in Phase 1 as well. Grand opening of the presentation centre for the new Townhomes at Lotus Surrey is on now and they are selling Phase 1 of this pre-construction townhouse development in the Fleetwood neighbourhood of Surrey BC. Home is right here at this master planned development, so set yourself apart. According to Susan B. of the Home buyers Guide of Vancouver: “So what do you think, are you buying one?” The man looks me squarely in the eye. From his vantage point perched comfortably on Dad’s shoulders, so does his son. Spontaneoulsy, the boy flashes me the kind of grin that can only be successfully carred off by an under three year old. But Dad’s waitin for an answer, so I confess I’m here at Lotus Townhomes in Surrey real estate on assignment. “Oh, so you see a lot of homes? Are these well built?” The man’s directness is refreshing. Now here’s my dilemma. I know he’ll understand the benefit of these pre-sales Surrey homes having 2x6 rather than the more common 2x4 framing. I’m pretty sure he’ll know the energy Start appliances from Frigidaire will save him money by reducing energy consumption. But will he get the no creak, no warp, engingennered Silent Floor system that is standard at the new Surrey condos townhomes at Lotus townhouses in Fleetwood? And what about the stellar combination of durability and good looks from the HardiPlank siding? On my way out of the presales Lotus townhome presentation centre, I find Dad now engaged in a lively conversation about Fleetwood Surrey’s convenience and amenities with a vibrant, young couple. Overhearing them discuss how great it is to have an elementary school just down the street from the new Surrey condo development at the Lotus Fleetwood townhomes and comparing notes on the two nearby rec centres – the Surrey Sports & Leisure Complex and the Guildford Recreation Centre – I pause to tell them about the trail around Green Timbers Urban Park and find out where they recommend for the closets place to find a rich, steaming latte. As they both instantly point towards Esquires Coffee just up the road, I look up to see Junior, still on Dad’s shoulder, wink at me – or was it just a trick of the lighting? Seems to me this is one pint-sized homebuyer who knows a good presale home when he sees it. Lotus Townhomes in Fleetwood Surrey real estate market offers a total of 70 two and three bedroom townhouses pre-construction homes in a broad variety of floor plans. Phase One of Lotus Townhomes Surrey is now selling with prices starting at $339,900. The new presale Lotus Townhome Surrey sales centre is open noon to 5:00pm daily except Fridays at 16355 – 82nd Street (just south of Fraser Highway) in Surrey BC. For more information call 604.507.1190 or you can visit www.discoverlotus.com. Website at www.discoverlotus.com. Sales Centre open everyday 1-5pm. You also have a 1 in 35 chance to win a car at this awesome pre-sale Surrey Fleetwood townhouse event. Own at pre-sale Surrey LOTUS Townhomes for only $996/Month! Pre-construction Surrey homes for sale starting from just $322,199! Act now: week long sales events at the Lotus Surrey townhomes for sale starting March 7th! Why rent when you can own your own townhouse? Own from just $996/month for the first three years with exclusive mortgage rates of 2.99% only through the developer. Pre-register today at discoverlotus.com for your chance to win cash prizes during the grand opening sales event for the pre-sale Surrey townhomes at Lotus townhouses. The Lotus Townhome Presentation Centre is located at 16335 82nd Avenue in Surrey BC and is open 12 to 5pm daily but closed Friday. Call 604.507.1190 or email info@discoverlotus.com today for more details. Entice your life at the new Surrey Lotus townhomes for sale. Spacious two and three bedroom Surrey townhouses for sale with gourmet kitchens which include designer maple shaker cabinetry, luxurious and durable granite countertops with integrated full height ceramic tile backsplash. Also available are double stainless steel sink and polished Moen faucet and stainless steel appliances. Located in the heart of the master planned Fleetwood Surrey real estate community with easy access to commuter routes, shopping, services, schools and parks, the new Lotus Surrey townhomes for sale are also offering the National Home Warranty. Move-in now! Multi-family living is not new to the Surrey real estate market. However, affordable townhome living with urban conveniences and high-end interior finishing are! Here at the Fleetwood Lotus Surrey townhomes for sale, you will experience all the little extras that homebuyers these days look for in a new home. Distinctive living in the centrally located Fleetwood neighbourhood of Surrey, the Lotus Townhomes feature HardiPlank siding (not vinyl) and 2x6 exterior wall construction for extra insulation and sound proofing. In addition, there is the Silent Joist system between floors with a 40 year guarantee, meaning that if someone lives above or below you at the Lotus Fleetwood townhomes, you won’t hear them at all, ever. With great looks and open spacious and from lots of natural light to functional floor plans, these family oriented Surrey Lotus townhomes for sale are perfect for entertaining or just relaxing at home. Ceramic tile flooring, hardwood plank flooring and great angles and solid maple cabinetry are other features. The kitchens have stainless steel appliances and the homes here at the Surrey Lotus real estate market have large front porches and big back yards, which are perfect for outdoor bbqs, kids and pets. Also, the generously sized garages will add plenty of storage space to your disposal. The location of the Fleetwood Lotus Surrey homes for sale is ideal for retirees downsizing as well as new families and couples. With the Surrey Recreation Centre just nearby in addition to the Green Timbers Urban Park, you will find everything you need within a fifteen minute drive from your presale Lotus Surrey town home for sale. The pre-construction sales event March 7th allows you to take advantage of the new Surrey Lotus townhome incentive which is called the Mortgage Buy Down Program that is brought to you exclusively by the developer and it provides you the chance to own a new Lotus Surrey home for sale from less than $1000 per month! The floor plans at Lotus Fleetwood include two and three bedroom townhomes, and many are complete already. The prices start from $322,199. The other incentive at the new Surrey homes for sale at Lotus include a chance to win a Honda Civic. There are now two display homes. YES, 'Discover Lotus' and be Amazed... Come and See for Yourself! 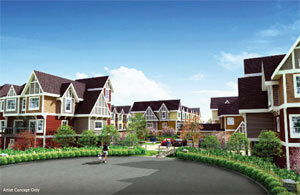 It's truly the Best brand-new townhome development in Fleetwood, Surrey real estate market. Not only is it solid, it's affordable. Do Not Miss The Boat on These Incredible Surrey Real Estate Deals! The Surrey Lotus Townhomes feature impressive new homes starting from just $322,199 and the developer will cover the GST for the next five sales only! There is no better time to buy: record low mortgage rates and housing prices are here! Get them before they’re gone! Move in now to the Fleetwood Surrey Lotus Townhomes for sale. With only 11 total homes remaining, these spacious three bedroom Surrey townhomes for sale at Lotus Fleetwood with gurmet kitchens which include designer maple shaker cabinetry, luxurious and durable granite countertops with integrated full height ceramic tiling backsplashes will also include double stainless steel sink with polished Moen faucet and stainless steel appliance set. Located in the heart of the master planned Fleetwood Surrey real estate community with easy access to all commuter routes, shopping, services, schools and parks. Purchase a new Surrey Lotus home today and you could also win a new Honda Civic. The sales centre is located at 16355, 82nd Ave in Surrey. Other new Surrey condos and townhome developments are explained here. Inside, the Redleaf Crescent Townhomes in Queen Mary Park Surrey real estate market show home’s main floor presents an immediate sense of comfort and easy flow. Wide plank hardwood flooring, nine foot ceilings, square edge wooden casing around windows and doors – it’s all designed with goot taste in mind. Liz also makes sure to point out the corner fireplace in the living room – energy efficient electric with a stylish ledgestone surround that combines traditional texture and contemporary minimalism at the new Surrey real estate properties at Redleaf Crescent town homes. The kitchen, truly the heart of this presale Surrey home, is located midway between the living/dining room and a comfortable family room with generous deck that immediately has me thinking of summer barbeques with friends and family. Cabinets are real wood Shaker style at the presale townhomes at Surrey’s Redleaf Crescent community at Queen Mary Park, counters are polished granite, and with a full height pantry plus a bank of rollout drawers and convenient centre island, storage is plentiful. Upstairs I discover that the new Surrey Redleaf Crescent townhomes a master bedroom with one of my favourites – a cozy cappuccino balcony where I can sit in quiet solitutude sipping my favourite morning brew and reading the morning paper. Plus, this flor is also where I find the washer/dryer intelligently located right wehre I need it – next to the bedrooms at the new Surrey real estate townhomes at Queen Mary Park Redleaf Crescent community. “Redleaf Crescent truly is all about affordability without sacrificing quality,” Liz says before I head off to check out the surrounding Queen Mary Park Surrey real estate community. “With prices starting at #349,900 it’s a great way for young families or professionals to get into a presale new Surrey home that gives them everything they want with plenty of space to grow. And because the entire community along Queen Mary Park will be borderd with Redleaf Crescent redleaf or cedar trees with entry off a quiet street, itwill feel very intimate, very exclusive.” We chat briefly about the 2,800 suare feet amenities building at the new Surrey Townhomes at Redleaf Crescent residents and about the convenience of being surouned by existing urban amenities. Here you’re only minutes from parks, schools at all levels including Kwantlen University College and the new SFU campus, golf, the Surrey Arts Centre, re centres, libraries … okay, you get the picture with the location of the new Surrey homes at Redleaf Crescent townhomes. There’s plenty to keep you entertained, mentally stimulated and physically fit as well. Redleaf Crescent townhomes presale offers a total of 85 three bedroom townhomes rnaging between 1,476 and 1.853 square feet in size and brought to you by Centex Projects Ltd. Phase One of Redleaf Crescent Queen Mary Park new Surrey real estate is now selling with prices starting at $349,900. The Redleaf Crescent presentation centre and display home are open noon to 6:00pm daily except Fridays at 9405 – 121st Street in Surrey. For more information, please call 604.584.9405 or visit www.redleafcrescent.com. Sales are by Dipak Verma, Rose Marra and Liz Chan. Developer is CENTEX Projects and the Warranty is by Travelers. Summer at Heritance at Clayton Village. It's a big deal. For our first trick - watch us cut your mortgage payments in half. This summer only, Heritance is offering a fully-finished basement suite for just $7,000 to all pre-construction Clayton Village Heritance home purchasers. Sounds like magic, doesn't it? But this deal is as real as your are. Our polished construction team will add a kitchen, bathroom and a bedroom or two...and voila! A rental suite. It just makes cents. More money for that 60" plasma TV, er, retirement plan - you've been saving for. Not quite ready to be a landlord? What better place for a live-in nanny or your in-laws at the Surrey Hertiance homes by Townline Group of Companies. Hello, instant babysitters. Or maybe you just need a place to escape and watch the big game at your new Surrey home at Clayton Village Heritance master planned community of single family homes. Townline Homes will build it. For a lot less than our cost of $19,000; because Heritance Homes is sweet like that. But don't wait too long. Our offer will only last until Fall 2008. After that it's up to you to make the renovation magic happen. So what's the deal with Heritance at Clayton Village in the Surrey real estate market? We'll tell you. Heritance pre-sales Surrey homes is comprised of 48 single-family homes lovingly built with all the classic Craftsman appeal of a character home - minus the maintenance. These are Surrey presale Heritance Townline homes with soul in the heart of Clayton Village, on a quaint and quiet street, close to all the big-city amenities you appreciate. Choose from our selection of new Surrey Heritance home floorplans, each with basements and a separate double-car garage. You may not have two cars, but those bikes and tools (and occasionally muddy dog) have to go somewhere. Check out our floorplans, Clayton Village Heritance Townline Homes community layout and features online at www.heritanceliving.com. Starting from the mid $500,000s. Government tightening mortgage rules as of October 15. The federal government says that, as of October 15, it will no longer guarantee mortgages with durations longer than 35 years. The government also will demand a minimum down payment equal to 5 per cent of the value of the Heritance pre-sale home you purchase.But not all is lost! At Clayton Village’s Heritance new Surrey homes we have received some very exciting news. One of our bank sources can guarantee your rate for up to nine months to accomodate any of the pre-construction Clayton Surrey homes at Heritance. Also, they will honour the 40 year rate... for now. Our advice is to act now! Let's do the Math: Let's work out the approximate difference between a 35 and a 40 year rate at, say 5.4%. For a $500,000 home, for every $1,000 of mortgage, your payments will be: 35 year $2,632* or 40 year $2,524*. If you can achieve the 40 year rate, you save cash flow of $108 per month on your Heritance home by Townline at Clayton Village Surrey - could help pay for that ever-rising gas bill. Or maybe just some great furniture (or a flat screen?) for your new home. Surrey, a cultural hub? You betchya. Arts are alive and kicking at the Surrey Fusion Festival (July 18th to 20th) in Holland Park. This year's event features The Chieftains, and the groove-drenched Jully Black. Kick back in the sun with over 40 different global acts, ranging from world music to an awe-inspiring acrobatic performance by Ache Brasil. Best of all, the festival is free! Make a day of it. When you're finished at the Fusion Festival, take a moment to stop by the Clayton Village Townline Homes Surrey Heritance Sales Centre, located at 190th Street and 68th Ave, where I will be happy to tell you more about those basement suites...and our other Pre Display Home Incentives. Drop by any time from 12pm-5pm Saturday to Monday. Or, call 604.539.2313 to talk to me about what just might be your new Heritance home lifestyle. Sincerely, Neil Klassen, Sales Manager - Royal LePage Wolstencroft Realty | email neil@heritanceliving.com | tel 604.539.2313 | cell 604.880.8550. PS. Be sure to visit us to learn more about our fully-finished Heritance Homes Surrey basement suite promotion before it's too late. *July 18, 2008. Subject to change upon bank regulations. See a Sales Representative for more details. It's a big deal. According to S. Boyce for the New Greater Vancouver Home Buyers Guide, you dream of owning your own home in Surrey real estate. A house with a yard, plenty of room for your growing family and the promise of years of memories in the making. Right now, this is all possible at the Heritance Homes in the popular Clayton neighbourhood of Surrey real estate market by Townline Group of Companies property developers. Single family craftsman style homes with all the amenities that you will appreciate are now on preconstruction pricing at the Clayton Townline Heritance single family detached homes Surrey property offering with open floorplans, basements that can be finished and much more. The Best of All Worlds is in Clayton nighbourhood Village where you can find some of the most diverse shopping corridors with Willowbrok, Langley Power Centre and tonnes of restaurants and fine dining options. Of course, the recreational options at the Clayton Heritance Homes in Surrey real estate are unparalleled with golf courses, fitness facilities, sports fields and lots of outdoor hiking and biking circuits in addition to Kwantlen and other higher education and high schools within walking distance. The Townline Group of Companies of offered the new presale Heritance Homes with only forty eight new homes for sale that are all over twenty four hundred square feet. In addition the prices for these brand new Surrey homes at Heritance by Townline start from just $500,000s. The Heritance Sales Centre is now open so visit www.heritanceliving.com or call 604.539.2313 for additional details. Outstanding Value is what this Townline release of pre-sale new Surrey homes at Heritance community is all about. With up to ten per cent interest paid on your deposit of a presale Surrey new home , home buyers can receive their choice of three Pre Display Home incentives including the option of having Townline Group transform your Heritance House basement intoa f ully finished one or two bedroom mortgage helper. With the most amaizing finshes and location, the Townline Heritance Surrey homes are by far the best value when it comes to new pre-construction proeprties in the Clayton neighbourhood. And best yet, you will own your own new single family Surrey home with a yard and plenty of space to grow with your family. The $7,000 finished basement suite ($19,000 value). Only at Heritance at Clayton Village real estate. Only until Fall 2008. That’s 1 or 2 extra bedrooms in addition to the 3 you’ll have upstairs at your private single family detached home at Heritance at Calyton Village in Surrey real estate market. Priced from the mid $500,000s, Heritance – homes with soul in the heart of Clayton. The Heritance Sales Centre is located at 190 Street at 68 Ave in Surrey and is open Saturday, Sunday and Monday from noon to 5pm. A Townline Heritance home sales rep can be contacted at 604.539.2313 or visit www.heritanceliving.com. The latest marketing push by the pre-construction Townline Heritance Surrey Homes: a rental suite, a nanny suite, a deluxe in-law suite (don’t worry, the door locks), a place for your giant flat screen, a place for your 20-something who never want to leave home, a place for guests, a place to escape your spouse, two extra bedrooms, a wet bar, a dry bar, a sports bar. In other words? A finished basement suite, $7,000. This is available at the presale Surrey Heritance Townline single family home development for a limited time only. No time like the present to get into Heritance. Bigger house, smaller payments? The 40 year mortgage. It makes a lot of sense for new Surrey home buyers looking to maximize their square footage and buy quality that their dollar will afford them today. But guess what? As the ice cream trucks of summer pack it in for September 30th, so does the 40 year mortgage. Banks will no longer offer this option as of this fast approaching date, so if you see a real classic home like Heritance at Clayton Village new Surrey homes in your future, you should think about acting in the present...as in right now. All's fair in love and war - also, banking. As much as we believe in following the rules, sometimes we like to get a bit creative when it comes to helping out our new Surrey home buyers at Heritance single family houses in Clayton Village community. So on that note, we have arranged for the bank to hold your interest rate until your home completion date. Don't ask how. It involves our cousin Pauly and that's all we can say. So if rates go down between your purchase and completion of your family home at Heritance South Surrey, you get the lower rate. If they go up, you're protected at the lower, guaranteed rate. So invest now in Heritance Homes in Surrey real estate market today, and strike a deal against interest rates. Buy now, sell later. Just because you're selling your old home, doesn't mean you can't take advantage of a new Surrey buyers' market. Right now at Heritance pre-construction single family Surrey homes in Clayton Village real estate property market, we'll allow you to purchase a new presale home subject to the sale of your old one. We'll give you lots of time to sell it, and if it still doesn't sell, we'll give you even more time. And, if for any reason you absolutely cannot sell - we'll cancel your purchase agreement - no problem. So grab the new Surrey house you've always wanted, and leave the risk behind. Get down with our basement deal. Those that move up to a pre-sales Surrey Heritance home now get down with the sweet sounds of our $7,000 finished basement suite deal for these Clayton Village new pre-construction houses. For the cost of a second hand Honda, you could get two finished bedrooms, a full bathroom and a complete kitchen including appliances. With an actual cost of $19,000, your only question should be "How do I tell my husband that my mother is moving in downstairs?" Click here to check out our finished Heritance Homes basement suite plans. We're all about the details: So here are a few more for you. Check out www.heritanceliving.com for our pre-construction South Surrey Heritance at Clayton Village home price list, floor plans, feature list and site plan. To get a closer look, visit us at our Heritance Sales Centre located at 190th Street and 68th Avenue, Surrey. There you'll get the big picture on Heritance. 48 single family Surrey new homes over 2,400 square feet with craftsman-style quality and an up-to-date feel. Available in 3 and 4 bedroom plans with finished basements and double-car garages and priced from the mid $500,000s. Heritance is single family homes with soul in the heart of Clayton Surrey. Questions? Call me at 604.539.2313 or email info@heritanceliving.com. From concrete to comfort. Heritance at Clayton Village Surrey homes are taking shape. Hard hat tours! Our handy constuction crew has been very busy pouring concrete, and pouring over every detail of each and every Heritance home in the new Surrey real estate market. With the pre-construction Heritance Homes walls coming together and frames standing close to complete, now is the very best time to schedule a structural tour of your potential pre-sale Surrey home. After all, you want to know every inch of what you buy; inside, and out. Call Neil at 604.539.2313 to schedule your tour, and get first choice from the collection of presale Surrey homes at Heritance at Clayton Village, master planned community by Townline Group of Companies. Eager to get a peek before you pop down? Click here to veiw our monthly updated photo gallery. Clayton Village Heritance single family Surrey homes puts it all on display for November. Come November, our bulldozers will give way to more relaxed views as the very first Heritance Clayton Village Surrey display home reaches completion. And, being that one good house deserves a neighbour, our second display home will go up later that same month. Stay tuned for further news on opening dates. Move into a home at Heritance at Clayton Village; subject to the sale of your old one. Right now when you buy a pre-sale new Surrey Heritance home, we don't mind if you have yet to sell your old one. That means no matter what the Surrey real estate market does, you don't have to miss the chance to buy a modern classic in a vibrant growing community. We'll give you all the time you need to sell your home. If it simply doesn't, we can always cancel your purchase agreement with no problems. So grab the new Heritance at Clayton Village single family Surrey house you've always wanted, and leave the risk behind. So whether your old home has been on the property market for two minutes or two months, drop by Heritance Homes at Clayton Village and take your first step to owning a home with soul in the heart of Clayton. The difference between our Heritance basement suites and everybody else's? About $12,000 in your pocket. The pre-sale Surrey Heritance single family houses are still offering fully appointed basement suites for just $7000. What are they worth elsewhere? $19,000. You get one or two bedrooms, a full bathroom, a kitchen complete with fridge and stove and more, all for $12,000 less than anywhere else in the new Surrey Clayton Village neighbourhood. Look at our three flexible floor plans here. No matter if it is for a mortgage-helping tenant, or sanity-helping space for teenagers, or a multimedia playground for the whole family; this is a deal that sets us apart from all the rest. Not interested in the basement suite at the new Clayton Heritance Homes for sale? Call Neil at 604.539.2313 to learn about our other Pre Display Home Incentives. Be in the know about Heritance Surrey houses. There's a lot to know about Heritance, and seeing is believing. To find out all there is to know about our 48 single family craftsman style pre-construction new Surrey homes, visit us at our Heritance Sales Centre, located at 190th Street and 68th Avenue, Surrey. Our regular hours are Saturday, Sunday, or Monday from 12pm to 5pm. If those don't work for your schedule, just call us at 604.539.2313 to schedule your private veiwing. Tour the new Heritance Clayton Village Display Home (over 2,400 square feet) and snoop through the finished basement and double car garage. Every new Surrey Heritance home will feature these appointments, all from the mid $500,000's. Want a sneak peak before you drop by? Go online at www.heritanceliving.com for pricing, floorplans, a list of home features, site plans, and monthly updated constuction photos. Call us with any questions at 604.539.2313, or email info@heritanceliving.com. I will be sure to return your call shortly with answers. Sincerely, Neil - Sales Manager, Royal LePage Wolstencroft Realty | email: neil@heritanceliving.com | tel 604.539.2313 | cell 604.880.8550 | PS. Know a friend that might be interested in the pre-construction Heritance Surrey homes for sale in Clayton Village? Feel free to forward them this email. If you want the best of all worlds, the new Surrey homes at Heritance by Townline Group of Companies is an ideal location and neighbourhood for you and your family. Located in the heart of the new and expanding Clayton Village real estate market, the Surrey Heritance homes are minutes away from the big box stores, boutique shopping, Willowbrook Mall, Langley Power Centre and lots of restaurants to choose from. For homebuyers who want great value, these affordable Surrey homes at Heritance Clayton Village provide the best of new construction with affordable pricing starting from the mid $500,000s. Not only that, this small community of 48 single family detached homes at Heritance Surrey real estate development are Craftsman style designed and have three or four bedrooms, so you can still select the suitable floor plan for your lifestyle. Powder rooms, open kitchens, black appliance package, detached garages and an overall sense of attention to detail is what you will be purchasing at the Townline new Surrey homes at Heritance Clayton Village that also includes special incentives with legal basements suites that owners can rent out in addition to a fully finished basement area for an additional $7,000 only for a limited time. Homebuyers at the new Surrey affordable homes at Heritance by Townline are appreciating the floor plans, single family floor plans as well as the style and design of these houses. In addition, the Heritance at Clayton Village real estate development is featuring three new show homes at these new Surrey homes project in November 2008. Now open for pre-sales, the Heritance Homes are affordable, well located and value based, so you will be investing in not only your family, but your future as well. Heritance Display Home in South Surrey Real Estate - Now Open! See what no-compromise looks like. Heritance Display Home - Now Open. Display Home standing now - and the test of time. As smart South Surrey home buyers do, we're sure you're shopping around and considering a number of options to compare quality. We greatly encourage you to do just that. However, we have a strong feeling you'll stop in your tracks when you see what lengths Townline Group of companies has gone to build these beautiful single family homes at the spectacular Heritance Homes in Surrey Clayton Village. The pre-sale South Surrey Heritance houses embodies honest quality. The care and attention to structural and design detail ensure that this is a long term sound Surrey property investment. This is a real home for real people; like you. Townline Group of Companies is undoubtedly one of the more respected and followed builders in the Lower Mainland Clayton Village real estate industry, and we back up our word with a Ten Year Homeowners Warranty. There are no surprises here, just a storied track record of strong homes and satisfied buyers. With our Heritance Homes team settled in one Heritance house serving as a South Surrey Sales Centre, we now have a completely finished and furnished Plan A home next door for you to see, touch, and measure against your rigorous standards. If you're looking for something outstanding (that will see you through a lifetime) then these are the homes for you. Drop by soon and get first choice from a collection of pre-construction South Surrey Heritance homes in Clayton Village that will surely be quickly acquired by those looking for homes built with one thing in mind. Peace of mind. The Heritance Clayton Village Homes Basement Suite. Want to see what a fully finished (and furnished!) basement suite looks like? Come again early next month to view a Plan C home at the Clayton Village Heritance South Surrey real estate development, where we have built out the basement into a 2 bedroom suite. And this option isn't just for showhome fantasies...for $7000 you can get Townline to build you a full legal basement suite (value $19000). Or, if that's not for you, be sure to ask us about our other incentives, including: $12,000 in Finishings for your new Heritance Surrey home in Clayton Village real estate market. (Show Debbie Travis who's the boss and splash out with the finishings you thought you couldn't afford.) plus $9,000 Credit towards Your Statement of Adjustments. (Looking for a bit more cash in your diet? This is the deal for you.). Regardless if you're after space, flash or cash; drop by presale Surrey Heritance Clayton Village Home now and pick the deal that fits you best. Subject to Sale Available at Heritance Surrey Clayton Village homes. It's a home buyers market out there and you're a buyer - but perhaps also a seller. Sounds like a problem. Not when you buy at the pre-sale Heritance Clayton Village homes. We ensure you're protected, and can process your new home purchase subject to sale of your old one. We'll remove the risk by giving you all the time you need and more to sell your old Surrey home. If you absolutely can't sell, we'll extend your purchase agreement; no problem. Visit Heritance Clayton Village Now. Get the pre-construction South Surrey Heritance Story at www.heritanceliving.com. A full listing of prices, floorplans, features and photos are there for you to see. Or, visit our South Surrey Clayton Village Sales Centre located at 190th Street and 68th Avenue, Surrey on Saturday, Sunday and Monday from 12pm to 5pm, or schedule an appointment for a time that's convenient for you. Call us with questions or private viewing of the Heritance show homes requests at 604.539.2313. You can also email info@heritanceliving.com, and a Sales Representative will call you back shortly. PHASE 1 SOLD OUT AT HERITANCE - Single Family Homes in Clayton Village, Surrey real estate market. Due to popular demand, PHASE 2 NOW AVAILABLE from $419,000 (Previously priced at $550,000)* ALL HERITANCE SURREY PRE-CONSTRUCTION HOMES INCLUDE 3 BEDROOMS, FENCED BACKYARD, DOUBLE GARAGE AND FINISHED BASEMENT WITH SEPARATE EXTERIOR ENTRANCE. LOT 105 (PLAN A - 2,652 sq ft): $419,000, LOT 106 (PLAN B - 2,493 sq ft): $419,000, LOT 108 (PLAN B - 2,493 sq ft): $419,000, LOT 121 (PLAN A - 2,652 sq ft): $419,000, LOT 122 (PLAN B - 2,493 sq ft): $419,000, Heritance Surrey LOT 123 (PLAN A - 2,652 sq ft): $419,000. Yes, Our Pre-Construction Surrey Heritance Home Basements are Finished: All the homes at Heritance Clayton Village come with a fully finished basement. However, if you prefer, Townline can build you a 1 or 2 bedroom basement suite, complete with fully bathroom and kitchen with appliances, for $18,000. Or, leave it as it is. The perfect, open recreation room with storage. Reputation is Everything: Heritance Clayton Village Surrey homes embodies honest quality. The care and attention to structural and design detail ensure that this is a long term sound investment. Townline Group of Companies, the Surrey real estate developer of the pre-construction Clayton Village Heritance houses is undoubtedly one of the more respected and followed builders in the industry, and we back up our word with a Ten Year Homeowners Warranty. There are no surprises here, just a storied track record of quality homes and satisfied buyers. Visit Heritance Now - Before It's Too Late: Visit our Sales Centre located at 190th Street and 68th Avenue, Surrey real estate on Saturday, Sunday from 12pm to 5pm, or schedule an appointment with me for a time that's convenient for you to visit the new Clayton Village Heritance Homes. Call me with questions or private viewing requests at 604.539.2313 or page me at 604.530.0231. You can also email neil@heritanceliving.com, and I will call you back shortly. Townline Connect – our quarterly newsletter about market and non-market housing opportunities, office and commercial availabilities, profiles of neighbourhoods, tips for living a greener life, project updates and stories about some of the people behind the scenes who help make your new Townline home a solid real estate investment and a great place to live. By Susan K for the Townline Connect. It’s urban and hip, rural and tranquil – everything the modern Surrey home owner dreams of, all in one perfect place in Surrey’s real estate market. Clayton Village manages to strike the ultimate balance between the buzz of the big city and the draw of the old fashioned neighbourhood in Surrey real estate market. Sit down with an expertly poured latte and a newspaper at a local East Clayton Village local café – or share a pot of tea and some gossip on a neighbour’s front porch. Take the kids on a walk to the mall – or head down a leafy path with no one to answer to but a couple of chirping birds and your favourite canine companion. In Clayton South Surrey real estate market, green space isn’t at odds with easy access to commuter routes. Vegetable stands coexist happily with high-end bistros and wineries. Antique stores are as prevalent as major retailers. And the living choices are just as varied. At East Clayton Heritance Homes, it’s all about classic Craftsman style dream Surrey homes. At Compass Condos and Apartments, it’s contemporary townhouses. “Heritance is about real houses with soul,” says Sales Manager Nil. “Heritance is grassy backyards and quaint, neighbourly streets; verandas and bright, open floor plans; classic crown moulding and shaker cabinets – the kinds of Surrey houses perfect for building a life and taking part in a community such as Clayton Village Surrey.” Two long-awaited Heritance display homes are now open for viewing here at the Clayton Village Surrey real estate development by Townline Group of Companies. Both pre-sale homes boast the exceptional levels of finishings and detailing that have become a Townline trademark. The first, decorated by Gannon Ross Designs, is a fully furnished three bedroom Plan A Clayton Heritance Home at 2,652 square feet. The second, the Townline construction team have converted the finished basement into a fully finished suite, complete with two bedrooms and all appliances; an upgrade option now available for the unbelievable price of $12000. A finished basement suite at the pre-construction Surrey Clayton Village Heritance homes offers a wealth of additional possibilities: set up a secure home for a grown child or an aging parent; rent it out as a mortgage helper, build your home based business; or just spread out and enjoy the luxury of all that extra space here at the pre-sale Clayton Village Surrey Heritance homes for sale. A few blocks away from the pre-construction Heritance Surrey Clayton Homes, Compass townhomes offers a collection of contemporary westcoast-inspired townhouses and apartments for sale in the Clayton Surrey real estate market. “The Clayton community is a mix of vibrant local amenities, parks, and schools for all ages,” says Sales Manager Elise. Outdoor recreation is plentiful too with two golf courses, tennis courts and an outdoor pool. And the Compass Townhomes for sale in the Surrey real estate market themselves are spectacular. Luxurious features inside, imported granite countertops, hand set tiles, over height cabinets, and sleek stainless steel appliances, and fenced yards and private garages outside make the pre-sale Surrey Compass townhomes and apartments for sales the ideal urban oasis. “With only a few Compass townhomes remaining for sale, the highly successful Clayton Surrey community is now largely occupied and happily bustling with activity,” says Sangster. Soon The pre-construction Surrey Clayton Rise will round out Clayton’s offerings, classic tow and three bedroom pre-sale townhomes available in the Fall of 2009. By Adrienne D for the Townline Connect. The community of East Clayton real estate neighbourhood – with Clayton Village at its centre – is coming alive with parks, schools, shops and high quality housing opportunities for families of all ages, sizes and lifestyles. Designed as a close-knit Surrey community within walking distance of everything, the East Clayton community is a great place to live. “East Clayton real estate neighbourhood features wide sidewalks that encourage walking with several lovely little pocket parks as destinations,” says Tiina M. of the City of Surrey’s Park Planning and Develompent department. Surrey Parks is currently working on an educational pond site, next to the new Clayton Centre Area elementary school, scheduled to open in September of 2009. The pond site at East Clayton Village in Surrey’s real estate market, just a short walk from both Heritance Homes and Compass Townhomes/Apartments for sale, will include a wetland with viewing platforms, a boardwalk, a toddler playground, and interpretive areas demonstrating water’s crucial role in the ecosystem. Even East Clayton’s dogs will have a special park to play in. The new Cloverdale Dog Off Leash Park, situated near Compass Townhomes and Apartments for sale in the Clayton real estate market is scheduled to pen early next spring and will have designated areas for small and large dogs and will provide a fun meeting place for the many dog owners and dog lovers nearby. With so much to recommend East Clayton real estate community, it’s easy to imagine spending all the stages of your life in one community. DOLCE - "LIVE VANCOUVER CULTURE" In case you missed it, Dolce was featured on The Province's Sunday Homes cover this weekend which detailed the 18 sophisticated and elite residences available at Dolce Condominium Tower in downtown Vancouver real estate market. VIEW OUR SPACIOUS LOFT D1 HOME - DOLCE'S LARGE ONE BEDROOM LOFT HOMES. Dolce's unique loft homes in downtown Vancouver pre-construction market feature: richly coloured engineered hardwood flooring throughout the entire home with porcelain tile floors in the 4 piece bathroom that features his/her double sinks, beautiful sliding frosted glass doors for a bright, yet private bedroom, warm natural gas fireplace with a modern, translucent surround, all condo homes at Dolce Residences Vancouver will have European Kitchen with built-in cabinets and stainless steel appliances, all pre-sales Vancouver Dolce Residences will have the flexibilty to have a formal dining room, or even a grande piano! An exclusive collection of Dolce Live/Work Cityhomes, Downtown Vancouver Dolce Private Collection Residences and Sub-Penthouses are also available at Dolce. We are available to book one-on-one, private appointments. Feel free to call us at 604.677-8386 to book one today. Visit our Solterra Presentation Centre at 872 Seymour Street, Vancouver, open daily from Noon to 5pm (expect Fridays). Also, view our display homes online at www.canadahomeguide.ca/Dolce and www.canadahomeguide.ca/Vita. Regards, Solterra Dolce Limited Partnership. More information about Downtown Vancouver Presale Dolce Condos is here. Momentous changes are happening at Symphony Place Vancouver Downtown real estate projects - and we are so excited to share these property developments with you. Vancouver Vita Condo Pre-Sales - the first high-rise tower at Symphony Place - now has concrete poured up to the 6th floor. The formation of this beautiful landmark building at VITA Condos in Vancouver property downtown is becoming a reality, and with it, the essence of a new, vibrant neighbourhood. The transformation of such Symphony Place neighbouring buildings like Moda Hotel and Uva Wine Bar are making this area a true destination spot in downtown Vancouver real estate. As for Dolce Condos, the crane rose above the ground last week with excavation complete, and foundation work now in progress. With the construction of Dolce Condominium pre-construction high-rise tower in downtown Vancouver completely underway, this jewel of a building will follow its sister tower, Symphony Place Vita Condos, and both condominium towers will change the Vancouver real estate scene forever. The elite residences – Symphony Place Private Collection homes starting from the 25th floor, Subpenthouses and Street Front Townhomes - of these premier downtown Vancouver condo towers are now released. This is your LAST opportunity to be part of this stunning, once in a lifetime, landmark Symphony Place community. Floors 30-31: Symphony Place 4 Subpenthouses Condos in downtown Vancouver (1091 - 1250 sq. ft.) Value priced from $1,279,900 or $1142/sq. ft.
Floors 25-29: Symphony Place 4 Private Collection Pre-Sales Homes (995 -1035 sq. ft.) Value Priced from $879,000 or $850/sq. ft.
Beautiful Architecture. Innovative Design. Lavish Interiors. Stunning Views. Residences at Symphony Place are so remarkable that savvy real estate downtown Vancouver investors and discerning homeowners understand why Dolce and Vita at Symphony Place have become the definition of ultra-luxurious modern living in Downtown Vancouver's core. Symphony Place's premier location in close proximity to the finest dining and entertainment venues this city has to offer, assures an Vancouver real estate investment potential surely to grow in value and capital appreciation, with the added bonus of Symphony Place condo residences full of magnificence and lavish details. Cosmopolitan yet tranquil living is of abundance. Symphony Place presales condo residences truly offer “La Dolce Vita” with high-end quality finishes, elevated living, and sophisticated interior design elements. Symphony Place VITA Private Collection information is located here as well. We welcome you to visit our Solterra Presentation Centre at 872 Seymour Street, Vancouver, open daily from Noon to 5pm (expect Fridays). Also, view our display homes online at www.canadahomeguide.ca/Dolce and www.canadahomeguide.ca/Vita. Solterra Dolce Limited Partnership - Dolce Sales Manager, Kim Lloyd - Coldwell Banker Westburn Realty | 604.677.8386 | kim@liveatdolce.com | www.liveatdolce.com | www.vitacollection.ca Additional Solterra Condo Developments are explained. Sales will start at 540 Beatty on June 7th. Our website is live, and will be updated with even more information. Visit www.540beatty.com to learn more about this uncommon Vancouver downtown real estate opportunity. Over the next few weeks we will be sending you links to short interviews with key players in the conversion of 540 Beatty. And, if in the meantime, you have any questions about 540 Beatty, please call me, Dave Jarvis, at 604.584.5403 or email dave@540beatty.com Best, Dave Jarvis, 540 Beatty Sales Manager, Royal Lepage Wolstencroft Realty PS: Watch your email for more information very soon. More MetroLiving by Townline Line Vancouver Presale Real Estate Offerings are located here. We think that you’ll agree that heritage conversions of the importance of 540 Beatty condo new Vancouver downtown apartments are very rare in western Canada. Almost as rare as getting Rick Ilich, president of the Townline Group of Companies, to sit still long enough talk about one of his favourite projects. And yet, we have done it again. In this, the first of four short video interviews with the team involved with 540 Beatty condo homes, you will hear what is important to Rick about 540 Beatty in downtown Vancouver real estate. He’ll talk about the tactile nature of the historic building materials – working with brick, steel and timbers hewn nearly a hundred years ago. And, he’ll talk about why he feels so strongly about urban projects. If architecture marks our history, then the materials of a building are the mark of the craftsmen who came before us and built with such pride and skill. It’s inspirational. And it’s what led to a six month North American search for the perfect colour of amethyst glass to match the original glass block in the sidewalk areaways. The restoration of the presale Vancouver condos at 540 Beatty apartment heritage residences has been exacting. Dovetailing the modern residential interiors into this historic building at 540 Beatty Street in Vancouver has created a new home ownership real estate opportunity that is more European in its sensibility. As such, it feels more cosmopolitan than many new home opportunities in Vancouver. And, it is totally appropriate for this special block of Beatty Street. Sales of the final release of pre-construction 540 Beatty Vancouver condominium homes start on Saturday, June 7th at the Sales Centre, located at 540 Beatty Street. To learn more, or to book your personal appointment, call me, Dave Jarvis, at 604 684 5403 today. Or, you can email me at dave@540beatty.com. Thank you for your interest in 540 Beatty - Dave Jarvis, 540 Beatty Sales Manager, Royal Lepage Wolstencroft Realty. PS. Watch your email next week for information regarding floorplans and pricing of the final release of 540 Beatty. The final release of homes at the pre-sales downtown Vancouver condos at 540 Beatty Street is just about here. Sales will start this Saturday, June 7th, and to help you with your purchase decision at 540 Beatty condominium residences we would like to provide you with some additional information about this historic loft conversion in Vancouver's Crosstown area. As you know, there are just 23 new Vancouver loft homes available in the final release at 540 Beatty Loft Apartments. And there is a good range of plans and sizes to choose from. To view a sampling of the homes available, please select from the plans below: Plan C (Open 1 Bedroom), Plan L (Open 1 Bedroom) - You can experience this home in person. Visit our fully furnished display suite. 540 Beatty Penthouse 2 (2 Bedroom + Den). Also at this time, we are able to provide you with some price ranges for 540 Beatty. Click here to view a 540 Beatty Vancouver loft condo price range sheet. With overheight ceilings, thoroughly modern interiors, and retained historical components like structural beams, exposed brick and original refurbished windows, these 540 Beatty presale condo residences are unique in the Vancouver new home market. And, because the conversion is nearly complete, you will be able to move in this Fall. While these 540 Beatty St condominium floorplans and prices will give you an indication of what to expect at 540 Beatty, they don't tell the full story. To find a home plan that best suits your needs and to experience the building first hand we encourage you to contact the 540 Beatty Sales Team. You can call me, Dave Jarvis, at 604.684.5403 or email info@540beatty.com. Once we open on Saturday, June 7th our hours will be noon - 5pm daily (except Thursdays and Fridays). We will be located at 540 Beatty Street on the ground floor and will have a fully furnished display home available for you to tour in the pre-sale Vancouver real estate market. We would be happy to book you a personal appointment to help ensure that you have the best possible selection. Hope to see you this Saturday. Located at, you guessed it, 540 Beatty Loft condos in the downtown Vancouver real estate market in the merging Crosstown neighbourhood, the final phase of this historic loft convesion project is about to be released. Part of the award winning MetroLiving collection of Townline Homes, these 23 pre-construction downtown Vancouver homes at 540 Beatty loft condominiums range from open one bedroom lofts to spectacular penthouses boasting innovative garage door solariums and cityview spaces. Finishing details at the pre-sales downtown Vancouver 540 Beatty condo lofts include heritage brick, polished concrete, or granite counters, hardwood flooring and rooftop terraces. Prices start at $395,000 for an open one bedroom with car share and $459,900 for an open one bedroom with parking. Pre-sales for the 540 Beatty condos in downtown Vancouver real estate commence June 7th. For more details, call 604.684.5403 and visit www.540beatty.com. If you know downtown Vancouver real estate, you will know that Crosstown is at the intersection of Downtown, Yaletown, Gastown and Chinatown. So, it makes sense that it would be called Crosstown. And, it is a great place to find your new home at 540 Beatty Vancouver downtown condo pre-construction property by Townline Homes. But, what defies logic is how truly different it feels on the 500 block of Beatty Street in downtown Vancouver. At the south end is Stadium Skytrain station, which makes it super convenient. Heading North, you will find some great neighbours on the block including Chambar, Cafe Medina and Provide Homes. At the top end of the block from 540 Beatty Street condominium suites is Wild Rice and Honey Lounge. Just around the corner of 540 Beatty condos is Tinseltown and International Village with movie theatres, a large, new Rexall Drugs and other shopping. And also within a very short walk are T&T Market and the new Costco. Venture just a couple of blocks in any direction from your pre-construction Downtown Vancouver new condo home at 540 Beatty by Townline Homes and you will discover some of the newest and coolest restaurants and boutiques that Vancouver has to offer. The list is too long to mention them all, but in the restaurant category they are highlighted by Boneta, Jules Bistro, Revel, Chill Winston, SoCial, Brioche and Water Street Cafe. If you're interested in the new Vancouver condo homes at 540 Beatty Street residences, it's a pretty safe bet that style is important to you. And so, you will find shops like InForm, Bombast, Peking Lounge by Townline Homes and Koolhaus for home decor. For more wearable expressions of your style, there's ALife, One of a Few/Two of Few, Bruce Eyewear, Block, Livestock, Hunt & Gather, Fluevog and Dutil. Whew! That's quite the list, and it just touches on what is fast becoming Vancouver's leading style and fashion district. To see more, watch our third video installment, fittingly called "Crosstown". And now that you know more about the neighbourhood, we'd like to invite you down to tour our fully furnished Vancouver pre-sales 540 Beatty Display Home by Townline Homes. You may have stopped by before, but we assure you, it's well worth the return visit. The Display Home is a Plan L - an open 1 Bedroom, approximately 770 Sq. Ft. It includes parking and a large convertible storage area within your suite. Plan L homes start from $515,000. You can view all of the plans available and learn much more about this amazing heritage conversion on our website at www.540beatty.com. To get a true sense of the pre-construction 540 Beatty Townline condo home and the neighbourhood, call the 540 Beatty Sales Team at 604.684.5403 to learn more. Or, visit our 540 Beatty Street Vancouver Sales Centre and fully furnished Display Suite at 540 Beatty, open everyday (except Thursdays and Fridays) from noon to 5pm. Sales have started, so we encourage you to call or visit today. Thanks for interest in 540 Beatty. Well it's November, and that can only mean a few things in Vancouver. 1) The originally pre-construction Vancouver downtown condos at 540 Beatty is nearly complete. The majority of pre-sale downtown Vancouver homes at 540 Beatty apartments will be ready to move into as early as December. The 540 Beatty penthouse condo levels will be the last to finish and will be ready in January, 2009. Final touches to the presale downtown Vancouver 540 Beatty condominium homes and lobby are underway, the sidewalk in front with its historically inspired areaway glass sidewalk blocks is almost finished and the building exterior work is nearly complete. If you take a stroll by, you will be able to see this progress. 2) Into every Vancouverite's life, a little rain must fall. It happens every year. You know it. It's likely you'll need an umbrella. Stop by to see us and discover what a warm, dry and cozy place 540 Beatty condo homes in downtown Vancouver real estate marketis. And, if you would like to take a little tour around the Crosstown real estate property neighbourhood, we'll give you an umbrella to make your stroll a little dryer, too. You can pop out for a coffee at Cafe Medina, nose around in Provide or Nest, or venture a little further to check out the great shops in Gastown and Chinatown like Dulti, One of a Few, Two of a Few, Alife, Bombast and Peking Lounge. And, if you know the area at all, you will know that the movie theatres at Tinseltown have some of the best seats in town for enjoying current releases on 12 screens. But, while you're visiting us at the pre-construction Townline 540 Beatty Vancouver condo pre-sale homes in crosstown real estate district, be sure to get the tour of our fully furnished display suite. You can see how the warm brick and the large, open kitchen add warmth and invite you to spend your rainy days inside a new lofty home at 540 Beatty Street by Townline Group of Companies. 3) We're hosting an art show and sale. If you've been into the Sales Centre at 540 Beatty Vancouver downtown condos, visited our website or seen any ads, you might recognize some very distinctive photography that has appeared over the course of rejuvenating this historic building. All of the photography from pre-construction right through to the display suite was done by Vancouver fine art photographer, Jessica Bushey. On November 27th, the 540 Beatty Sales Centre will be transformed for a one night only art show and sale of Jessica's work, as well as her partner Cam Andrews' work. Please join Martyr Gallery at the 540 Beatty Sales Centre from 5pm onwards on Thursday, November 27th to see the scope of this talented couple's work. 4) We'd love to show you around. Be sure to stop by to see us for a tour of the building and the display suite. We'll be happy to show you around. Our pre-sale 540 Beatty Condo Sales Centre is at 540 Beatty Street. We are open every day (except Thursday and Fridays) from noon to 5pm. Or, if you'd like more information, it's available at www.540beatty.com or by calling the downtown Vancouver Condo Sales team at 604.684.5403.